It’s May and Spring is in full effect, friends! Time to blow the dust off the BBQ and start tending to the garden. Lately though I’ve been obsessed with the cooking you do indoors. Only because I’m striving to replace all of our “packaged” foods/treats with ones that I’ve made or a whole foods alternative. It’s a good thing I’ve been up to such noble work. Had I not been, these babies may have never been! These were so good they FLEW off the plate! I had to shield the baby from the peanut butter ball mayhem! You can get crazy with these bad boys and they take literally minutes to make! I used what I had on hand but I’m already thinking of alternatives for the next batch. 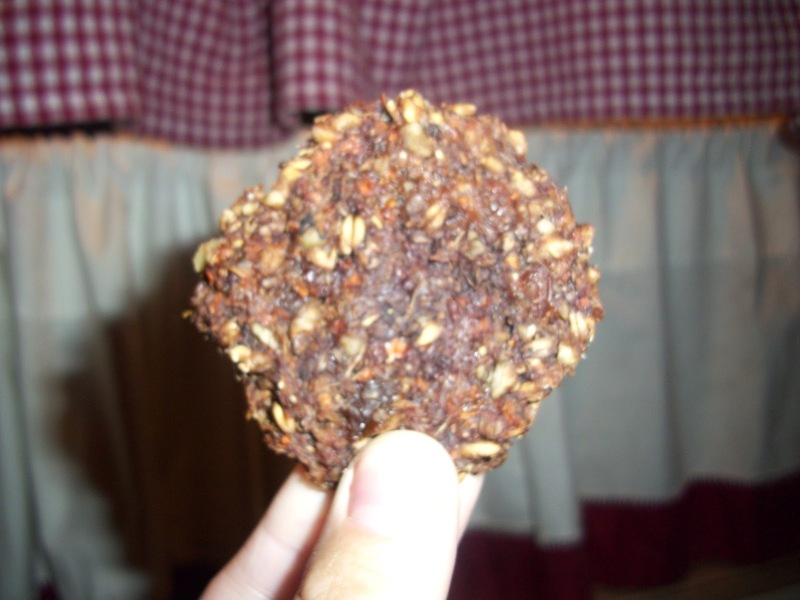 You could roll them in dark chocolate chips, add nuts or seeds and dried fruit too. I bet you could dip them in (dare I say it?) melted dark chocolate even… Mmm!! Add all ingredients, except coconut, to a large bowl. Mix until a rough dough is formed. Test dough to see if it will hold a ball. Add a little water if dough is too dry. 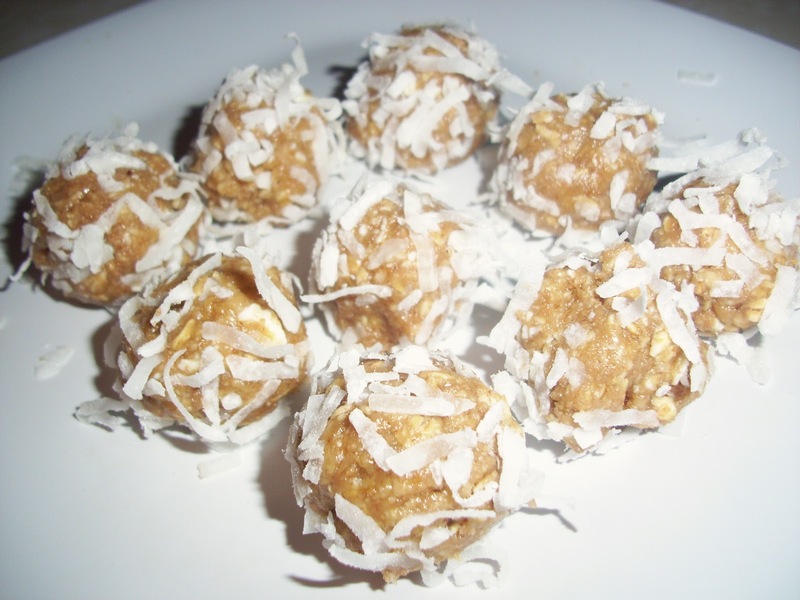 Roll 12 balls and roll in coconut. Serve and enjoy! You can store them in the fridge, if you have any left! See how easy that was?! You too can have dessert in 5 minutes flat! Do it. Everyone will think you’re a genius. I’ve been plenty busy making other snacks too. My boys love to snack! Crackers, popcorn, veggie sticks….anything with a crunch. 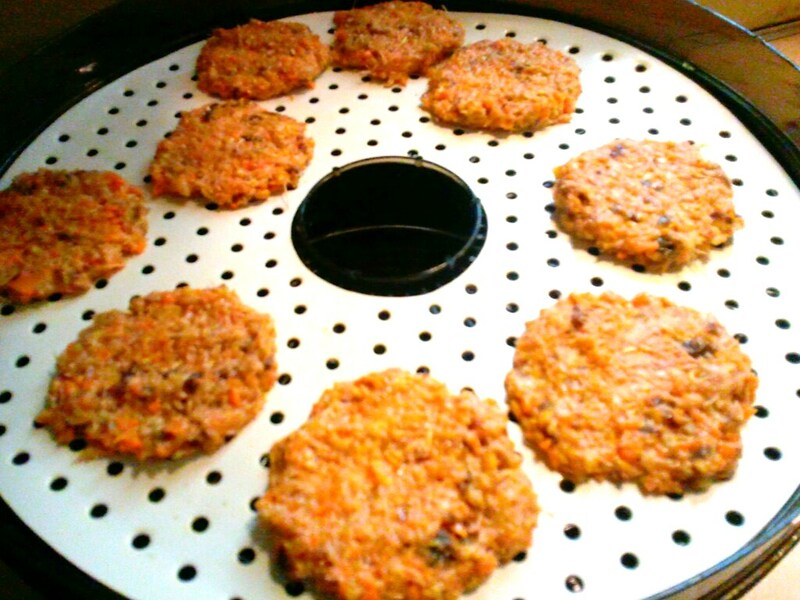 So lately I’ve been experimenting with the dehydrator and the oven trying to come up with healthy munchies for them that don’t come out of a box with a laundry list of ingredients. If any of these sound good to you, feel free to email me and I’ll shoot ya the recipe. 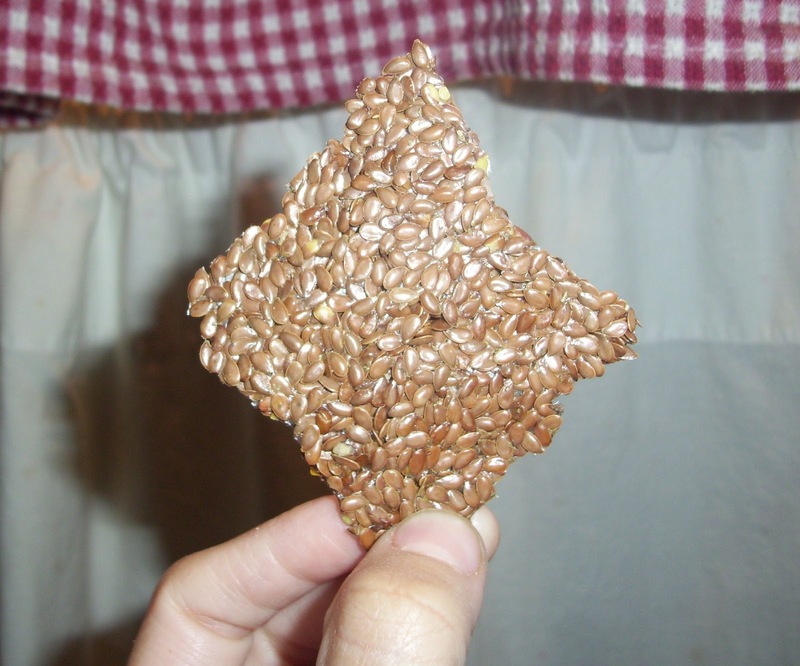 Flaxseed crackers from the dehydrator…BEFORE. 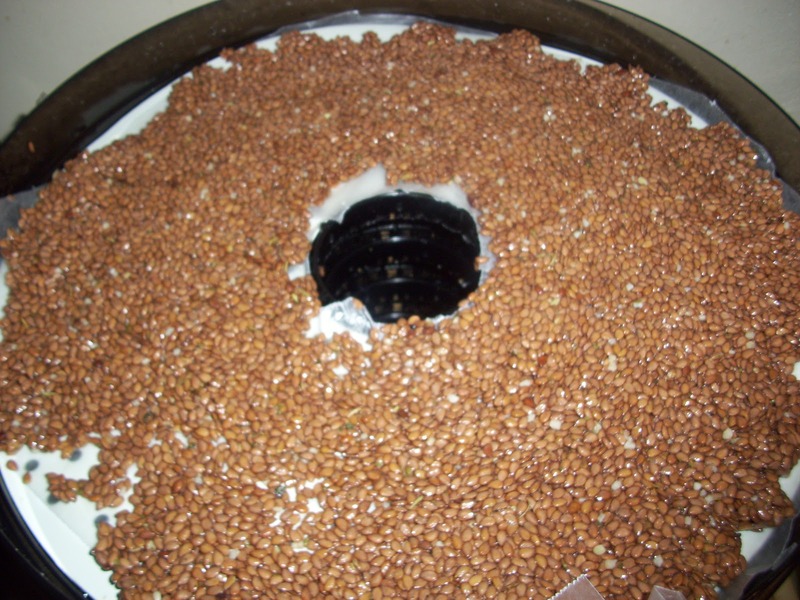 Note to self: Do not line dehydrator trays with wax paper. 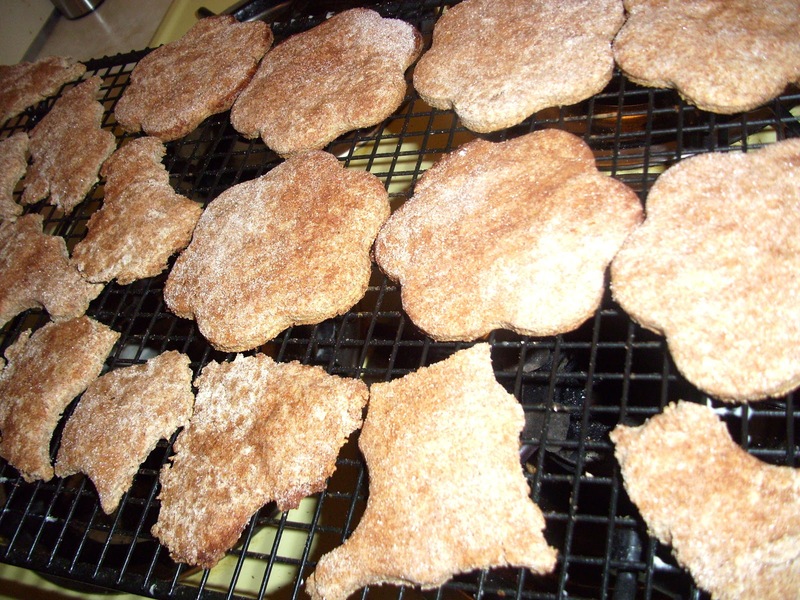 Whole wheat cinnamon and sugar (Splenda) crackers from the oven. My healthy replacement for graham crackers. Yeah I used flower cut outs for half and then they became “rustic”. 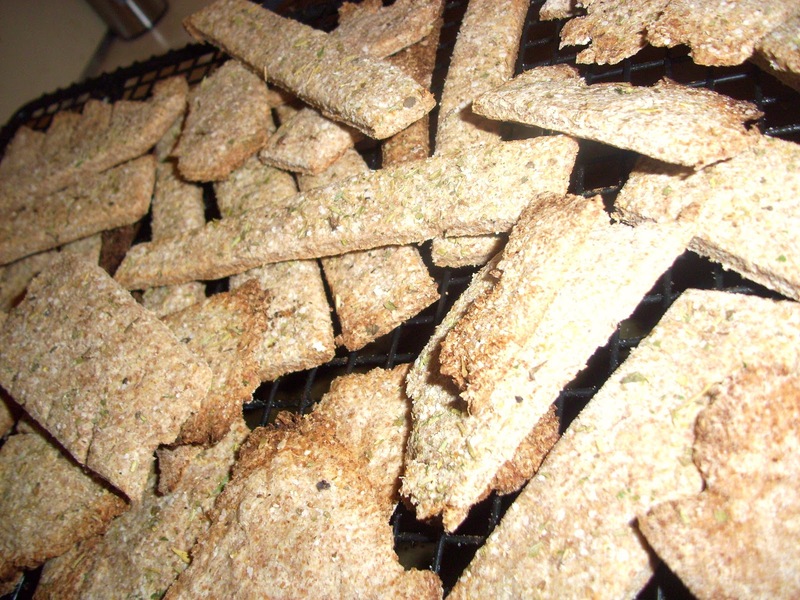 Savory whole wheat Italian style crackers from the oven. Perfect for dipping in hummus or with a veggie sandwich! Cookies, AFTER! Not too sweet. Very wholesome treat. Overall, I think we’re making big progress in our snack department. We’re making our own popcorn at home on the stove now too. I buy it in bulk and we pop it with coconut oil instead of butter. Your recipe calls for 1/4 peanut butter and 1/4 maple syrup. I'm assuming you meant 1/4 cup?